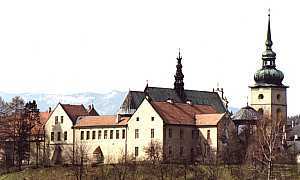 Professional Western European music had reached Poland long before the manuscripts contained in the Stary Sącz monastic library were compiled. The music came here together with Christianity, confirmed by the baptism of Poland’s first historical ruler, Mieszko the First, in the year 966. The oldest song with a Polish text whose melody has been preserved is Bogurodzica (Mother of God), often seen as a national anthem. Composed in the late 13th century, it uses a melodic fragment from a processional hymn already known in the 10th century. Its author or authors remain anonymous. The earliest Polish composer known by name was the Dominican friar Wincenty of Kielce, author of the office Dies adest celebris composed around 1225 for the worship of Bishop Stanislaus, an 11th-century Polish saint. 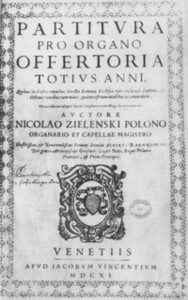 The history of the Polish musical Baroque opens with Mikołaj Zieleński’s monumental collection Offertoria et Communiones totius anni, published in 1611 in Venice. In his compositions, written for use during the whole liturgical year, Zieleński applies the polychoral technique characteristic of the Venetian school with Giovanni Gabrieli as its main representative. The mass cycles by two other eminent Polish composers of this period, Marcin Mielczewski and Bartłomiej Pękiel, also draw on the Italian style of the period. The opera – a new musical genre of the Baroque – was brought to Poland on the initiative of Władysław (Ladislaus) Vasa, the king’s son, as early as 1628. The court of King Zygmunt (Sigismund) the Third saw the performance of a “fishermen’s idyll”, Galatea, by unknown authors. Władysław IV Vasa’s royal theatre was inaugurated in 1635 with Giuditta, performed to celebrate a peace treaty with the Muscovite state. None of the operas from this period has been preserved, but more than a dozen are known too have been played before the king’s death in 1648. 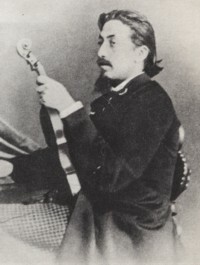 The librettist was, in most cases, the king’s secretary Virgilio Puccitelli, and the music was written by members of the royal ensemble – one of whom was the famous Italian composer Marco Scacchi. Vocal parts were sung by excellent Italian singers. After Florence, Rome, Mantua and Bolonia, Warsaw was the fifth city in Europe to cultivate this new musical art. After the death of Władysław IV Vasa, great patron of the theatre, Poland’s operatic life was on the wane until king August III of Saxony brought the splendour of this art back to Warsaw. It was at his court that Johann Adolf Hasse, one of Europe’s most appreciated composers of that day, wrote his music in 1730-63.  The Romanticism in Polish music was preceded by a development of Polish classical songs, piano and symphonic pieces. The first Polish symphony was written around 1740 by Jacek Szczurowski. 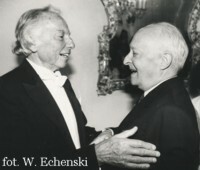 Other symphony writers included Haydn’s disciple Franciszek Lessel and Chopin’s teacher Józef Elsner. Maria Szymanowska and the violinists: Paganini’s worthy rival Karol Lipiński and Henryk Wieniawski. Fryderyk (Frédéric) Chopin was born on 1st March (or, according to some historians, 22nd February) 1810 in the Żelazowa Wola country house in Mazowsze (Mazovia), 60 km west of Warsaw. His father Mikołaj (Nicolai) was a Frenchman from Lorraine who came to Poland in 1787 with Jan Adam Weydlich, administrator of Count Michał Pac’s estate in Nicolai Chopin’s home village of Marainville. Frédéric’s mother, Justyna née Krzyżanowska, was related to Countess Ludwika Skarbek, owner of the Żelazowa Wola estate. The Chopins lived in the annexe of the Skarbek house and Nicolai tutored the Count’s sons. On 23rd April, Fryderyk Franciszek Chopin was baptised in the medieval St Roch’s Church in the neighbouring village of Brochów. Born on 5th May 1819 in Ubiel near Minsk, learned first at home with his mother Elżbieta. 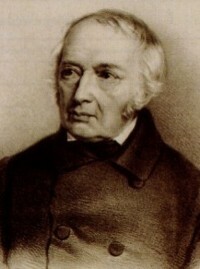 Then, from 1827, he learned the piano with August Freyer in Warsaw, and from 1830 – with Dominik Stefanowicz in Minsk. In 1836, during a stay in Vilnius, he met his future wife - Aleksandra Müller. 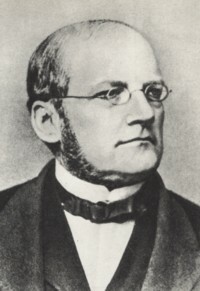 In 1837 he started studying in Berlin, where he took private lessons in harmony, counterpoint, instrumentation and conducting with Carl Friedrich Rungenhagen, director of “Singakademie” Music Society. In Berlin, he also trained as choir master and accompanist for singers, he became acquainted with the great operatic, large-scale vocal-instrumental and symphonic repertoire, with the process of staging works and with conducting technique, taking part in rehearsals conducted by Rungenhagen and Gaspar Spontini (then a guest in Berlin). 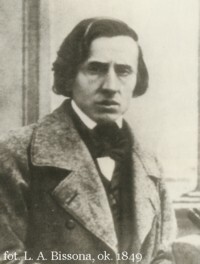 The time after Chopin in Polish music was a period of the growing influence of German music, particularly of Mendelssohn, Schumann and Wagner. Władysław Żeleński, whose opera Stara Baśń [Old Tale] draws directly upon Wagner’s idea of the musical drama with its ‘unendliche Melodie’, was hailed as a successor to Moniuszko in the opera. 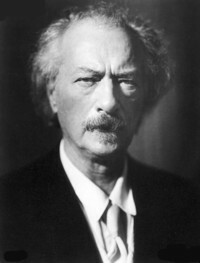 Ignacy Jan Paderewski enjoyed international renown, but this was largely due to his activity as a pianist rather than a composer. He also soon became famous as a politician whose effort helped Poland regain its independence. 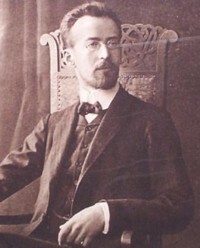 Also in 1918, he was appointed prime minister in the revived Polish state. His only opera, Manru, commissioned by Dresden Opera and staged there in 1901, was a considerable success and was later performed in Prague, Zurich, New York, Philadelphia, Boston, Chicago, Kiev, Nice, Monte Carlo and Bonn. 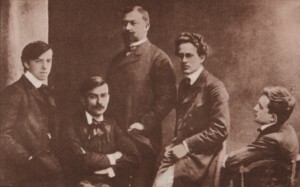 The group which at the turn of the 19th century opposed the conservative character of Polish music, represented by such composers as Żeleński and Paderewski, came to be known as “Young Poland”. 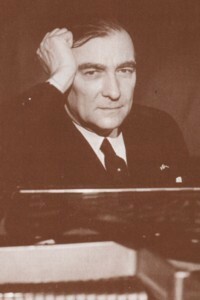 The most eminent representative of “Young Poland” was Karol Szymanowski, Poland’s greatest composer after Chopin. After a period of writing under the influence of Skryabin’s expressionism and Debussy's impressionism, Szymanowski developed his own style rooted in the most recent developments in European music, but also imbued with the spirit of the Polish tradition.